This week we found a super fun, and a little bit scary, dog bed that looks like a shark! Although not only does this dog bed *look* cool, it is also built with amazing nanotechnology. The material’s non-toxic nano-particles make this bed self-cleaning, activated by natural sunshine. In cases of large messes though, the cushions are machine washable. So what are you waiting for? 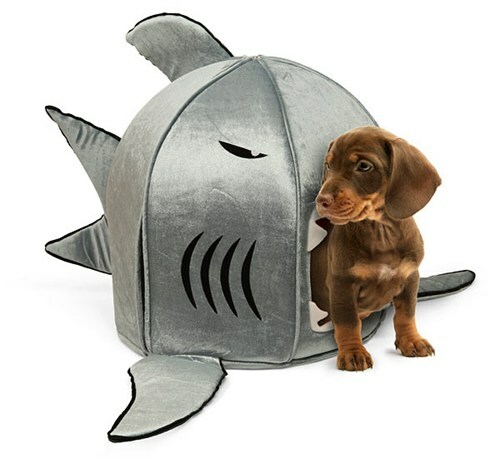 Haven’t you always wanted your dog to sleep in the belly of a Japanese nano-technological shark? 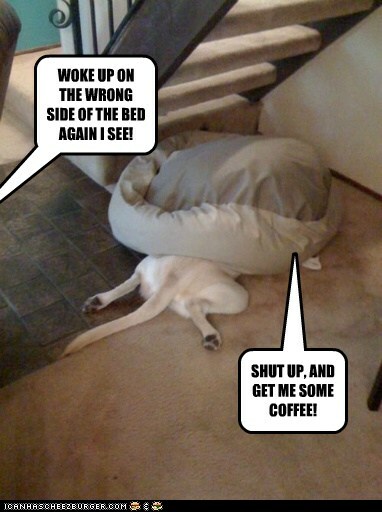 WOKE UP ON THE WRONG SIDE OF THE BED AGAIN I SEE! SHUT UP, AND GET ME SOME COFFEE! sry wer all outta koffee.